In June 2016, our denomination’s 222nd General Assembly took the rare step of approving a recommendation to add a document to our Book of Confessions: The Confession of Belhar. 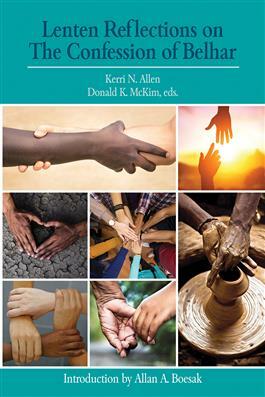 It is a rich and timely theological resource and will be at the heart of our Lenten journey this year. The Confession of Belhar was written as a protest against a heretical theological stance by the white Dutch Reformed Church that used the Bible and the Confessions to justify the harsh and unjust system of Apartheid. Belhar has three central points: Unity, Reconciliation, and Justice. It is structured like the Theological Declaration of Barmen. There is a biblical affirmation followed by a rejection of false teaching. You may read or download a full text of the Confession of Belhar at here. Learn more about the history of the Belhar Confession here. We will use as a guide the book Lenten Reflections on The Confession of Belhar. At Aperture on Wednesday, March 20, Chris Tuttle will lead a discussion on the Belhar Confession, and we’ll also embark on a sermon series. Scripture will be paired with portions of the Confession, with the goal of enriching our reflections on who God is and who Christ calls us to be. Books are $13 each and available for purchase in the Mission Center. Please contact Kristina Gilbert to pick up your copy. What is the Bible? How do we know it happened that way? 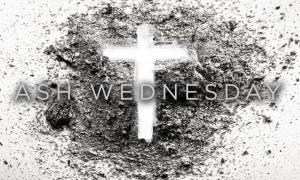 What about salvation, grace, and predestination? Why do bad things happen to good people? By creating a safe space for people of faith to wrestle with the big stuff, we acknowledge this is important and questions matter. Led by Chris Tuttle, this class promises to be a great time of discussion and exploration, March 10-April 14, 9:45-10:45am, in Room 205. 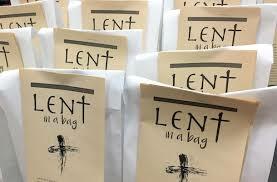 On the first Sunday of Lent, March 10, families can take home “Lent in a Bag,” a resource of activities to do at home, calendar suggestions for counting down the days to Easter, and our annual One Great Hour of Sharing fish banks. Children can bring their fish banks to worship on Palm Sunday and march into the Sanctuary with palms fronds held high. On Good Friday, April 19, we will have a “Prayer Walk of the Passion,” an interactive experience for children and families that depicts the story of Holy Week. Join us and bring a friend! Please register for dinner by Monday, March 4 at noon: http://bit.ly/myWPCevent. All are welcome!